I’m standing on a railway platform to one side of Michael Foreman’s garden. The stone platform drops down to a long, flat trail where rusted railway lines peter out into grass. To one side is a beautiful arched stone bridge. Kyleakin, the house that sits on the plot once occupied by the goods station, was built by Michael’s aunt and uncle in 1987. It’s located a few miles outside Forfar, near the hamlet Muir of Lownie. 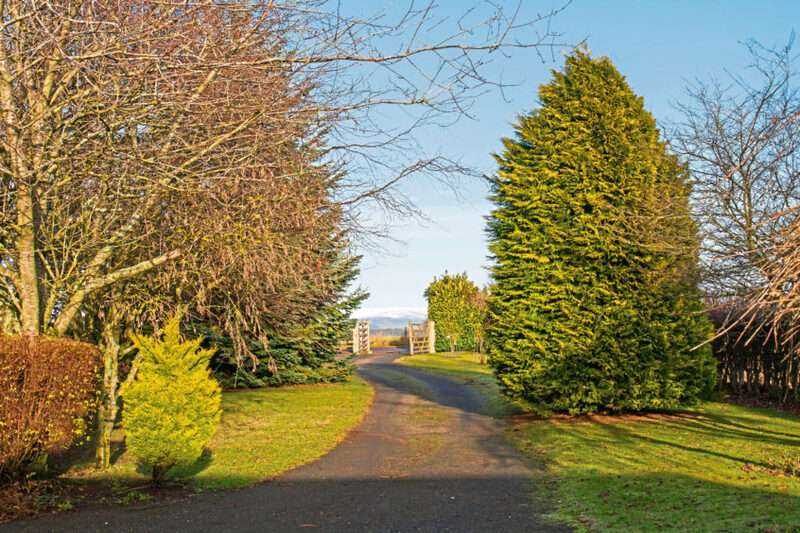 A long gravel driveway brings you out at a parking area in front of the house, which is surrounded by fields, woodland and gently rolling countryside. All the accommodation is on one level. There are three bedrooms, with the master en suite, a family bathroom, utility room, study that could be a fourth bedroom, living room and dining room. 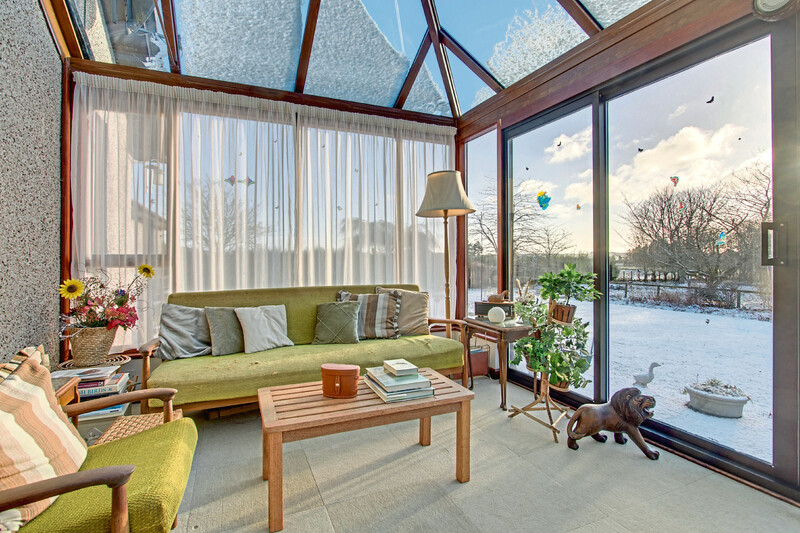 A large conservatory off the living room was added a few years after the house was built. 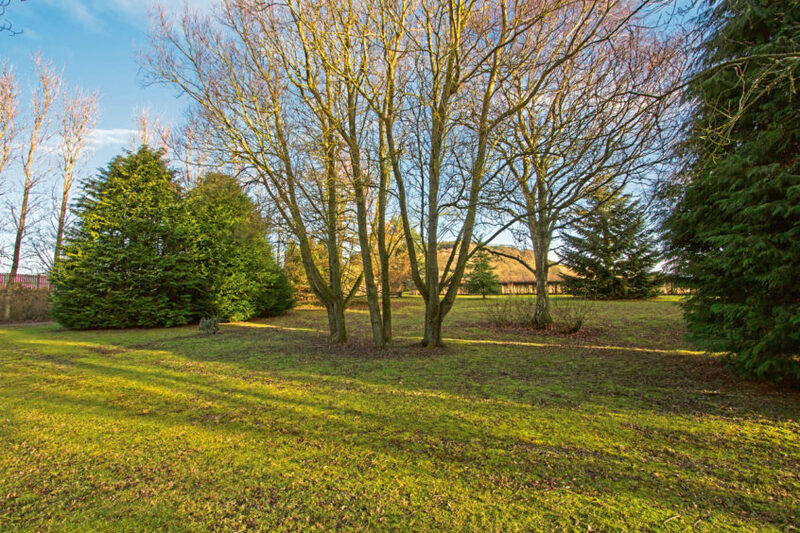 It looks over the lawn and woodland, and is a favourite spot for Michael to sit and watch birds. 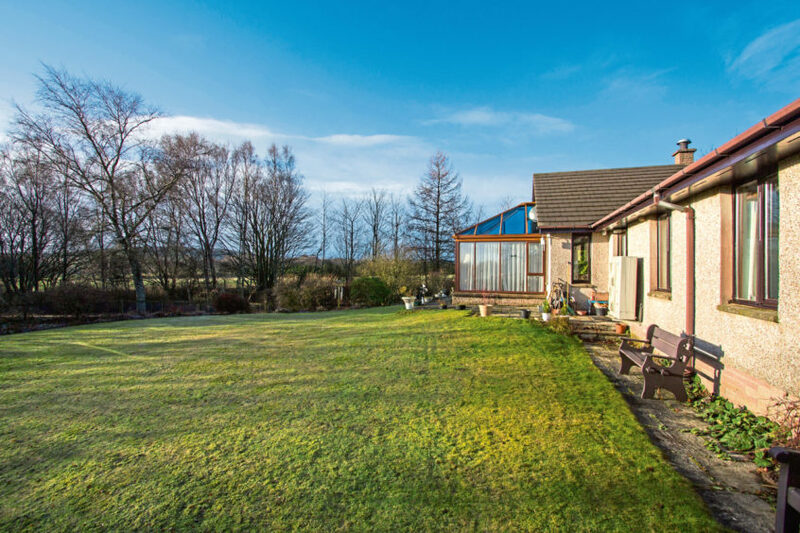 All three bedrooms have views to the garden and across fields and the double garage has its own WC – perfect if you’re getting out the car with mucky boots and dogs. Michael, 66, inherited the house from his aunt and uncle after the former passed away in 2016. Since then he and his partner have used Kyleakin as a second home to escape the bustle of their flat in Edinburgh. 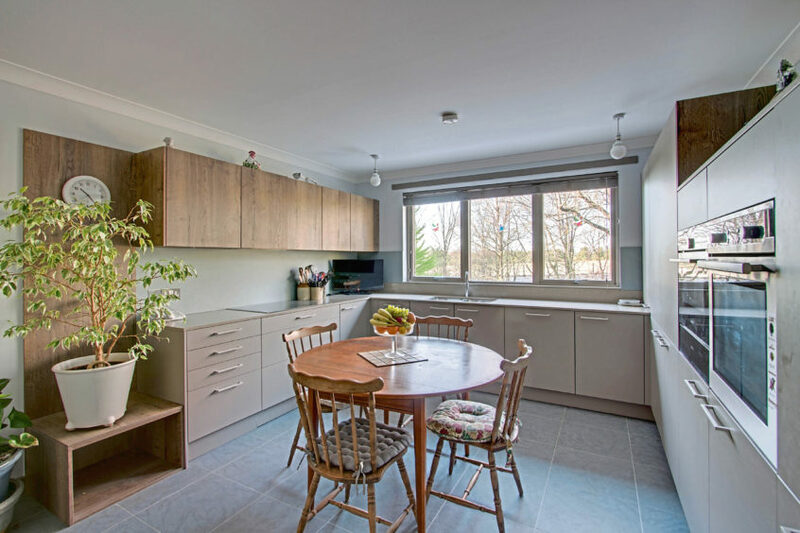 Since Michael inherited the house he replaced the kitchen, adding in modern features such as an instant boiling water tap, induction hob and high end appliances. He also had the roof refurbished and replaced defective double glazing panels in the conservatory. 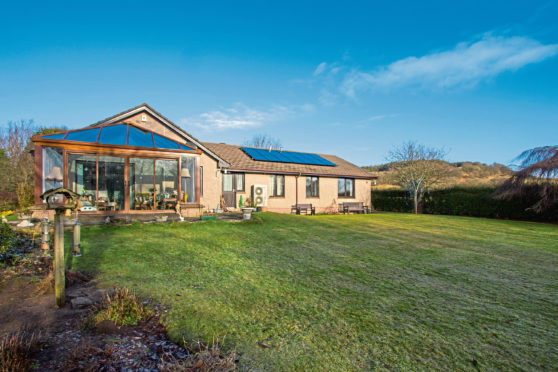 He installed an air source heat pump, which provides both heating and hot water. Its running costs are mitigated by 14 roof-mounted solar panels. A CCTV system and an alarm provide extra security. 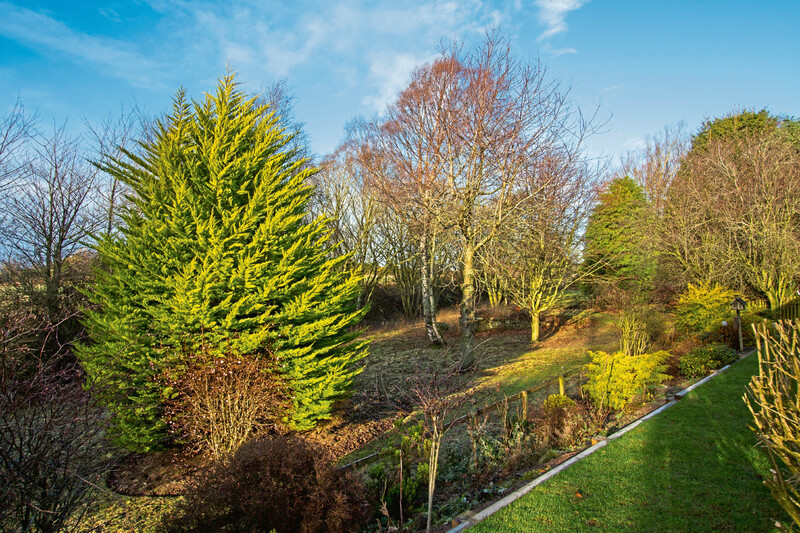 The garden stretches to three acres and has areas of lawn and woodland, as well as the old platform. In a quirky feature, the house also includes a long nature trail that stretches from the bottom of the garden down between two fields. “It’s a little unusual but my aunt and uncle were dog owners and this gave them an extra fenced-in section the dogs could run along,” Michael explains. 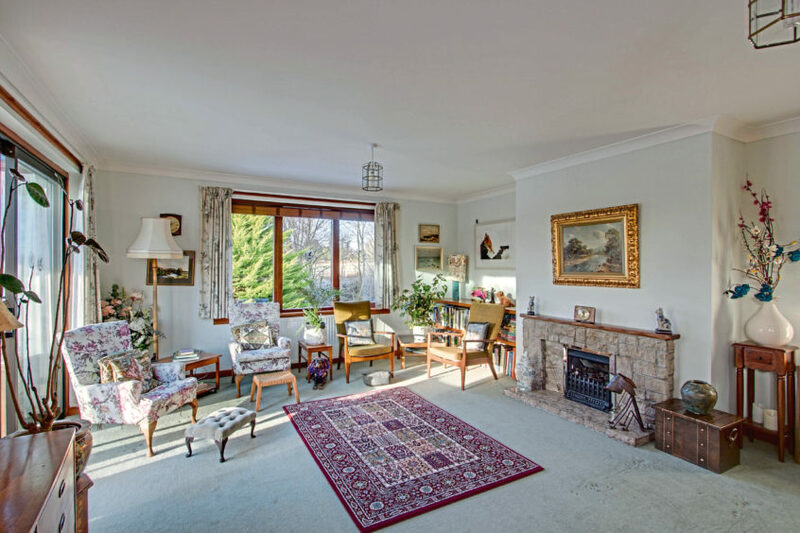 Kyleakin, Muir of Lownie, by Forfar, is on sale with Savills for o/o £350,000.